We are so excited as our new girl Annie who arrived on May 23rd, 2007. Annie comes to us through the generosity of her breeder Cindy Wilson. Annie makes her Canadian debut at the Battle River Canine Association shows on October 12, 2007 and is now sporting 3 points going Winners female under judge Charles Cyopik. Annie finished her championship going Best of Winners and Best of Opposite to Havoc! 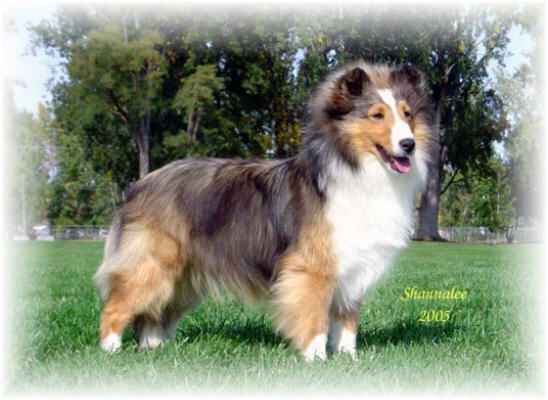 Annie will be a welcomed addition to our breeding program and should blend extremely well with Brady and his son's.